The Treaty of Paris (1951) created the European Steel and Coal Community (ESCC). The Single European Act (1986) introduced measures aimed at achieving an internal market and greater political cooperation. The Maastricht Treaty (1992) established EU citizenship and the European Monetary Union (EMU). The Amsterdam Treaty (1997) introduced measures to reinforce political union and prepare for enlargement towards the East. The Nice Treaty (2001) defined the institutional changes necessary for enlargement. The Treaty Establishing a Constitution for Europe (2004) seeked to simplify and synthesize previous treaties within a single, clear, foundational document for the EU. And the Lisbon Treaty (2007) which after the rejection of the Constitution for Europe modified the existing treaties, enhancing the efficiency of the decision making process and democratic participation in a Union of 27 Member States. Each of the main treaties leading to the current constitutional document has undergone a three stage process of preparation ( ), negotiation ( )and ratification ( ). We offer an extended overview about bibliography organised both alphabetically and by treaties and stages. 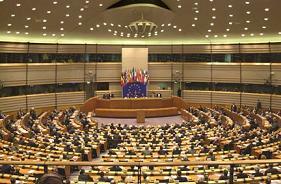 For general background and information about the European Union and its institutions, please visit our links page.